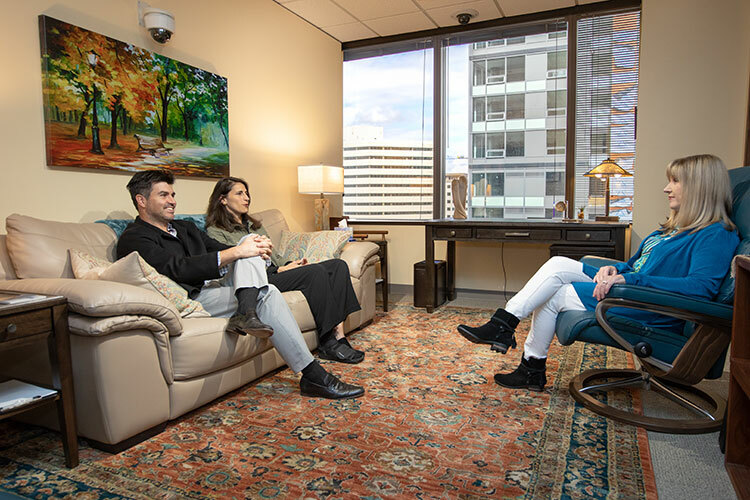 In partnership with the Center for Relationship Wellness, founded by Certified Gottman Therapists Don and Carrie Cole, we’re now offering private Marathon Couples Therapy in downtown Seattle. John and Julie Gottman are also scheduling sessions at their private home office on nearby Orcas Island. Marathon Couples Therapy is a dynamic alternative to traditional weekly sessions in Gottman Method Couples Therapy. It’s a condensed and focused approach to marriage counseling that will provide you with the time you need to address specific issues and get your relationship back on track. In this powerful therapy format, you’ll meet with a highly trained and experienced therapist for either one day or three consecutive days, depending on your needs. Couples that participate in Marathon Couples Therapy receive a scientific evaluation of their relationship from the Gottman Love Lab, the only one of its kind in the world. Our comprehensive relationship assessment will pinpoint the areas in which you can achieve the greatest growth so you can move forward to a place of strength, reconnection, and hope. The Love Lab has gained worldwide recognition for John Gottman’s breakthrough research on marital stability and divorce prediction. He has video recorded and studied over 3,000 couples, some for as long as 20 years. The revolutionary couples research lab, first opened in 1986 at the University of Washington, has been reimagined in downtown Seattle for the high-tech modern age. Marathon Couples Therapy starts with an assessment. When you come in, we’ll talk to you about how you see your relationship right now. We’ll hook you up to non-invasive physiological sensors so we can measure how fast your heart is beating, and how fast your blood is flowing to various parts of your body. Then after that, we’ll help you identify an area of continuing disagreement in your relationship. We’ll video record your conversation so we can code your facial expressions and emotions, second by second. When you’re talking to each other, we’ll collect data to determine what’s going on in your bodies. Based on all of this information, along with your responses to a comprehensive relationship questionnaire, we’ll do a mathematical analysis of your interaction patterns to simulate what your relationship will look like over time. The Love Lab Director will walk you through the findings and what they mean, and will explain to you the specific changes you can make to generate the most effective improvements in your relationship. At the conclusion of your day in the Love Lab, you will receive an extensive report outlining all of the interpreted data. If you are working with a local therapist, this report is an amazing tool to be able to share with them, giving them in-depth insight into how to best support you. 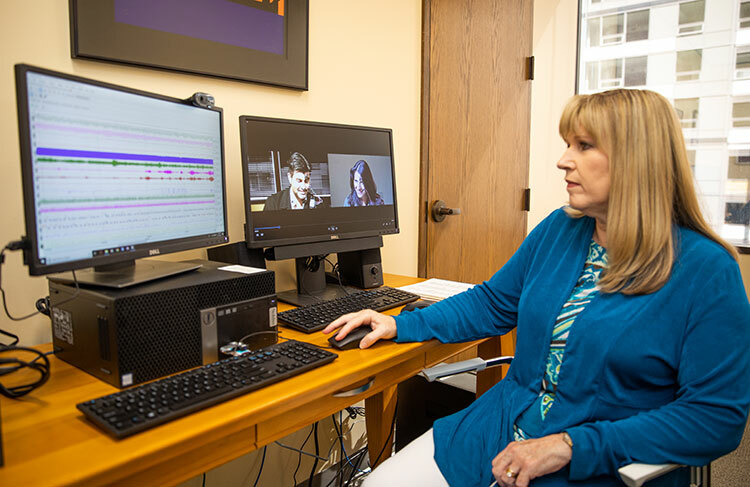 Following your day in the Love Lab, Marathon Couples Therapy is offered either for one day or for three consecutive days for six hours a day. In most cases, we recommend a three-day marathon. A one-day marathon is appropriate for couples seeking preventative care, couples with a solid relationship that have some minor issues to work out, and couples interested in premarital preparation. You will have time to talk in depth about the struggles and challenges of the relationship that simply cannot happen in the tradition style of couples therapy. There is time to process past injuries that have never healed, and time to understand how these injuries have impacted the relationship. There is time to learn and practice new communication skills to help you have more productive conversations. There’s time to rebuild. The therapist will provide an environment of safety for both partners. You will be treated with dignity and respect, without judgment, throughout the process. Couples who have experienced this form of therapy usually describe it as life-changing and transformative. Marathon Couples Therapy offers some practical benefits as well. It’s a good fit for couples who want intensive therapy but don’t live in the vicinity of a Certified Gottman Therapist. It’s also a good fit for couples whose schedules do not allow for them to go to weekly therapy sessions. And finally, it’s a great fit for couples who need to get help immediately. It is important, however, that you also understand the risks involved. Despite the “nuts and bolts” approach of this method, the Marathon Couples Therapy format may move you more quickly and intensely into the areas of difficulty to be addressed. Therefore, you and/or your partner may experience uncomfortable feelings like sadness, guilt, anxiety, anger, loneliness, and helplessness. Your therapy may also involve recalling unpleasant aspects of your history together and/or individually. Upon completion of the therapy, we will prepare a written summary of your therapy process and recommendations for you as a couple, and if indicated, for each of you individually. We may recommend that Marathon Couples Therapy be followed by couples therapy conducted in your home locale. In some cases, coordination between your home locale therapist and us may be advisable. Your therapist will have you both sign a Release of Information form to allow for this exchange if further treatment is needed. We are now scheduling sessions. If you are interested in Marathon Couples Therapy, please click here. When is Marathon Couples Therapy not suitable? Should you have any questions regarding the following issues, please contact us for clarification about whether Marathon Therapy is suitable for your situation. What technology do you use in the lab? We use state-of-the-art wireless MP-160 physiological data collection equipment designed by Biopac Systems, Inc. in conjunction with innovative software and hardware developed by Noldus Information Technology. We also also use a 10-category emotion observational system designed by Dr. John Gottman called The Specific Affect Coding System (SPAFF). These systems enable us to observe, measure, and analyze behavior between a couple. Biopac Systems integrated the famous Gottman Rating Dial into the data collection equipment. Our Clinical Assistant will discuss options with you to best fit your needs. A deposit of 50% is required at the point of reservation. Payment in full is due at the time of your appointment. Payment arrangements are made with our Clinical Assistant. Credit card or PayPal payment can be completed online or over the phone. Cancellations can be made up to 30 days prior to your scheduled appointment with a $500 cancellation fee. Deposits are non-refundable within 30 days. Your session can be rescheduled one time, however the new date must be within 3 months of your original date. Do you offer other options for couples seeking help? In addition, you can find a Gottman-trained therapist in your area on the Gottman Referral Network. Will you predict whether we will stay together or divorce? This is a common question that we receive. The answer is no. The Gottman Method was created to change the trajectory of a couple’s relationship, not predict whether couples will divorce. The couples in the original studies did not have the benefit of this information to change their outcomes. We have developed effective methods and resources to change predicted outcomes. We now teach tactics and tools to help you move your relationship into a more positive direction.